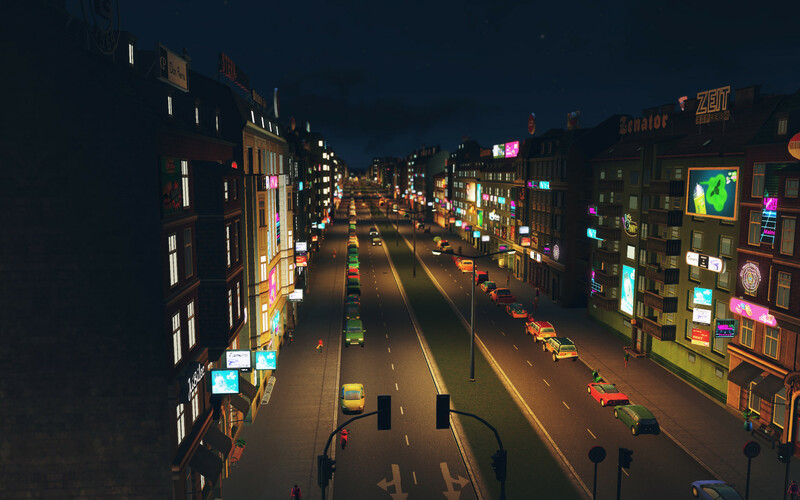 THIS PRODUCT INCLUDES: The basic version of the game Cities: Skylines and Cities: Skylines - After Dark DLC! 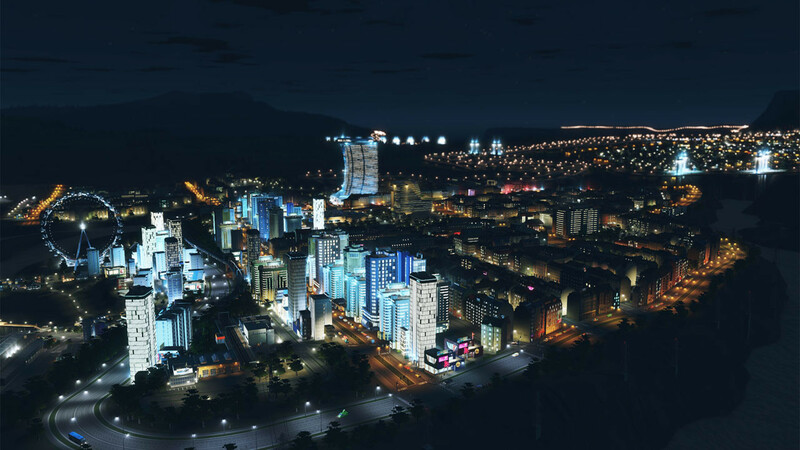 Cities: Skylines offers a new look at the classic genre of town-planning simulator. This game is the best way to convey the difficulties arising before the town governor and allows you to create a real metropolis, while at the same time bringing pleasant innovations into the game. Day and night change: depending on the time of day, the city changes, and its residents live according to a certain schedule. At night, the traffic flow is noticeably thinning, and the efficiency of some areas decreases. 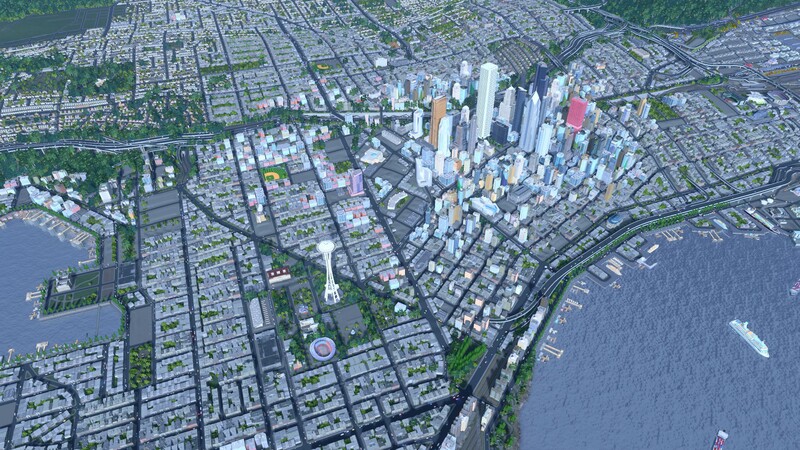 This add-on will allow you to manage various aspects of city life at different times of the day. Leisure specialization: commercial areas can specialize in entertainment for guests and city residents. At night, these neighborhoods boil with life, and during daylight hours they are not much different from normal. Tourist specialization: commercial areas along the coast built up with bars, restaurants and small yacht clubs will certainly delight beach lovers.